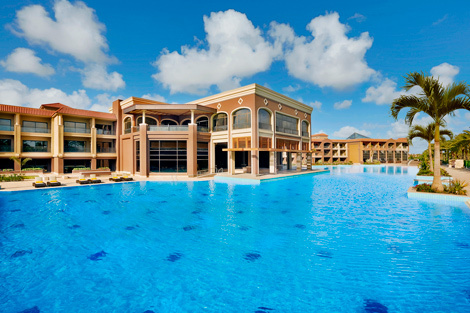 Hilton has opened its latest hotel in Egypt’s second largest city Alexandria. The 199-room Hilton Alexandria King’s Ranch is located around 35km southwest of the city centre, in the upscale King Mariout district, and joins the existing Hilton Alexandria Green Plaza and Hilton Alexandria Corniche. The hotel features 21 executive rooms, with access to a lounge offering complimentary drinks and snacks throughout the day. Facilities include the largest outdoor pool in the city, as well as a heated indoor pool and Premedion Spa, offering an experience pool, sound-and-light system floatation pool, male and female wet areas, a rehabilitation centre, diagnostics centre, medical beauty centre, male and female spa areas, a hammam and a VIP spa suite. There are six food and beverage outlets including the signature Zaatar Lebanese restaurant, and for meetings the hotel offers six functions rooms and a ballroom, with a total capacity for 1,000 guests. Alexandria is Egypt’s largest seaport, and a major economic and tourist destination for the country.